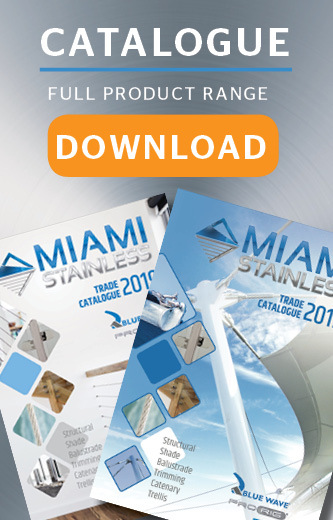 Miami Stainless stocks a large range of high-quality Medium Link Chain. Miami Stainless Chain is electropolished for a superior finish and perfect for all outdoor applications. Our Medium Link Stainless Steel Chain is available in 3mm to 16mm and can be purchased by the metre. The high quality 316 Stainless Steel chain is suitable to marine and sea water environment due to its high resistance to corrosion. Our commercial grade stainless steel chain is manufactured and proof tested as per Australian Standard specifications and available in AISI 316 marine grade and AISI 304 stainless steel. 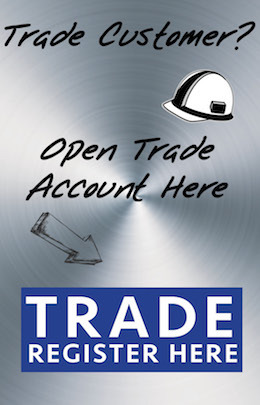 All chains can be tracked with batch numbers and test certificates are available on request. Alternative link sized wire is available for projects. Chain 2mm Medium Link AISI 316 Per MetreMiami Stainless 2mm Medium Link Chain is made from..
Chain 3mm Medium Link AISI 316 PER METRE Miami Stainless 3mm Medium Link Chain is ..
Chain 4mm Medium Link AISI 316 PER METRE Miami Stainless 4mm Medium Link Chain is ..
Chain 6mm Medium Link AISI 316 PER METRE Miami Stainless 6mm Medium Link Chain is ..
Chain 8mm Medium Link AISI 316 Per MetreMiami Stainless 6mm Medium Link Chain is made from..
Chain 10mm Medium Link AISI 316 PER METRE Miami Stainless 10mm Medium Link Chain is ma..
Chain 12mm Medium Link AISI 316 PER METRE Miami Stainless 12mm Medium Link Chain i..
Chain 16mm Medium Link AISI 316 PER METRE Miami Stainless 16mm Medium Link Chain i..
Chain 3mm Medium Link AISI 304 PER METRE Miami Stainless Medium Link Chain is made..
Chain 4mm Medium Link AISI 304 PER METRE Miami Stainless Medium Link Chain is made..
Chain 6mm Medium Link AISI 304 Per MetreMiami Stainless Medium Link Chain is made from hig..
Chain 8mm Medium Link AISI 304 PER METRE Miami Stainless Medium Link Chain is made..
Chain 10mm Medium Link AISI 304 PER METRE Miami Stainless Medium Link Chain is mad..
Chain 12mm Medium Link AISI 304 PER METRE Miami Stainless Medium Link Chain is mad..